All martial arts fans that also enjoy risking will enjoy stunning WMS game called Bruce Lee - Dragon's Tale. There the virtual master teaches each player the basics of martial arts, which will bring him enough fun, relaxation and rewards. The subject of this WMS slot is Bruce Lee and martial arts. The main advantage here is the large quantity of active paylines. The gaming machine is designed in accordance with its theme, and therefore its background is the Chinese temple. 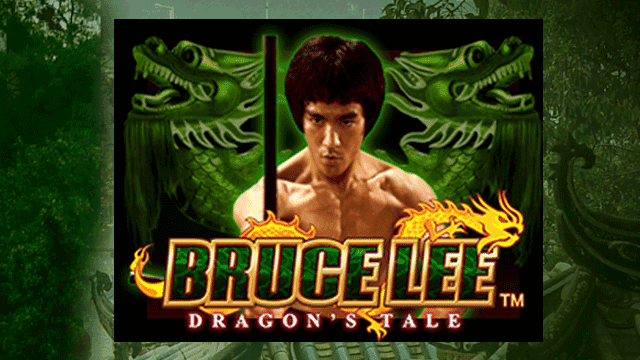 Moreover, Bruce Lee – Dragon’s Tale slots is performed in mostly red tones, which is typical for China. The game plot is underlined with appropriate thematic symbols and musical accompaniment. When playing at Bruce Lee – Dragon’s Tale slots, the gambler should consider the PayTable, which contains information about the game rules, the possibilities of each sign and the paytable. Starting to gamble, select the desired bet by using the “+” and “-” knobs of the Bet/Line. The higher the bet, the greater the win for the combination is. The bet per a line is 80 coins. The number of active paylines cannot be ever changed. All the paylines stretch through 3 fields: three small and 1 large, the main one. The large field can transfer special signs from its reels to the other fields. Each field is played separately, but they are connected by the Yin Yang sign, the game’s logo. When 3 logos appear, the user wins 10 spins additionally, if 4 Yin Yang signs fall, the player gets 10 spins with a single multiplier, after appearing of 5 of these signs, the gambler is awarded 10 spins with a double multiplier. You’ll play bonus round when a certain number of bonus signs fall on one reel. If these signs are simultaneously located on all 4 reels, then the bet will be increased by 12 times. During the bonus rotations, the player can manage to activate the bonus round again, so the spins quantity will be increased by a certain number, and the payments will grow. The reels are launched after pressing the Spin responsible for the normal game mode. When a casino’s visitor wants relaxing and watching the process, he picks AutoPlay. Performing automatic rotations, the player needs to determine the appropriate parameters for them — they are found in the Options section. There you can easily determine the duration of the spins, depending on the time interval or the number of actions performed. You can also select the balance amount, reaching which the slot should stop rotating or fix the size of the single wins, at which the game will also stop. Stop button ends the automatic rotation. Earlier than you risk with real money, play free Bruce Lee – Dragon’s Tale casino slot machine: plunge into the atmosphere of martial arts; see how thus outstanding famous actor, director and connoisseur of ancient Chinese culture Bruce Lee fights. Remember that Mr. Lee never gave up — follow him and win much! 0 responses to "Bruce Lee – Dragon’s Tale Slot"